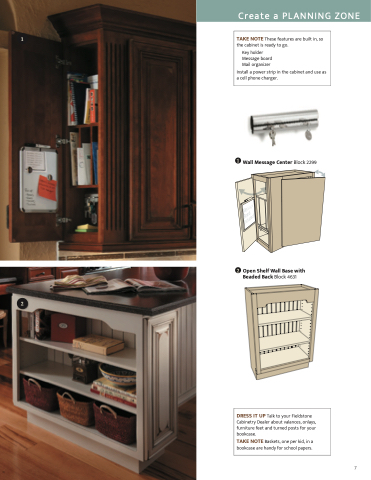 TAKE NOTE These features are built in, so the cabinet is ready to go. Install a power strip in the cabinet and use as a cell phone charger. TAKE NOTE Baskets, one per kid, in a bookcase are handy for school papers.